The “vivid contemporary sounds for a fresh visual image” make up the now canonised Synthesis from Alan Hawkshaw and Brian Bennett. These two greats go deeper than usual on this collection, and the end result is a synth concept record of sorts. 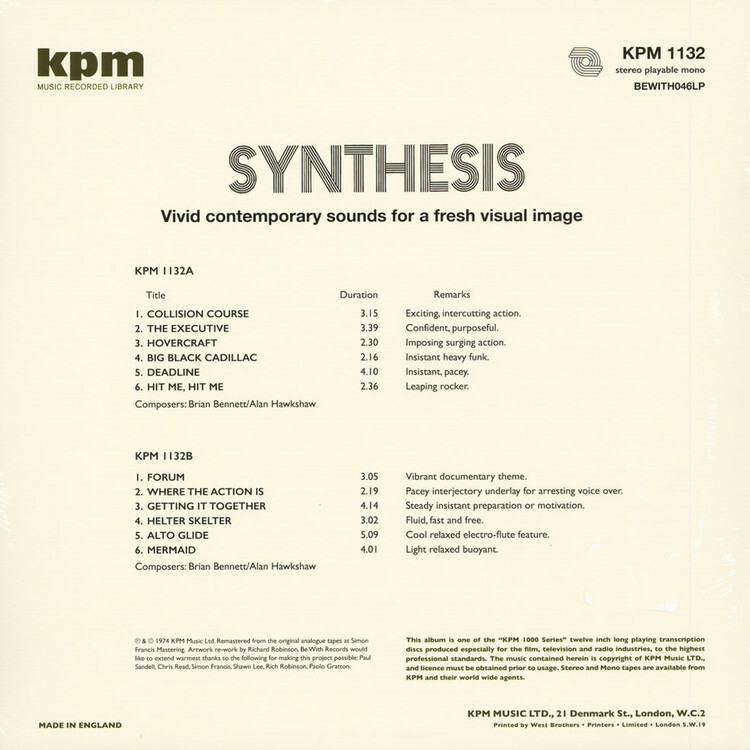 Released in 1974, it’s an essential companion piece to their Synthesizer and Percussion LP, released on Themes International Music in the same year.